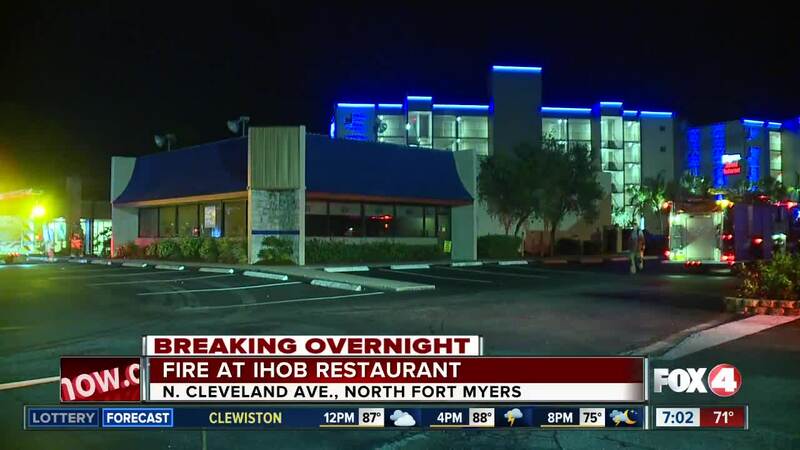 LEE COUNTY, Fla. -- 4 in Your Corner is working to find out what caused a fire at a North Fort Myers IHOP restaurant. That restaurant will not be open Thursday morning. It happened just after 2 a.m. Thursday morning at the location on North Cleveland Avenue. Fox 4 was the first media on scene. The Fort Myers fire marshal told our crew on scene that a small fire was put out and that firefighters had to break in through the front door. Stick with 4 in Your Corner for any updates.